For those who are looking for an affordable mountain bike, most will probably end up choosing hard tail because they are generally more affordable. However the latter can only be good in terms of price, but its performance can be dismal. The good news is that there are also many options for the best full suspension mountain bike under 1000. Full suspension bikes are better because they are more comfortable and faster. Fortunately, you do not have to spend a fortune to be able to enjoy its many benefits. 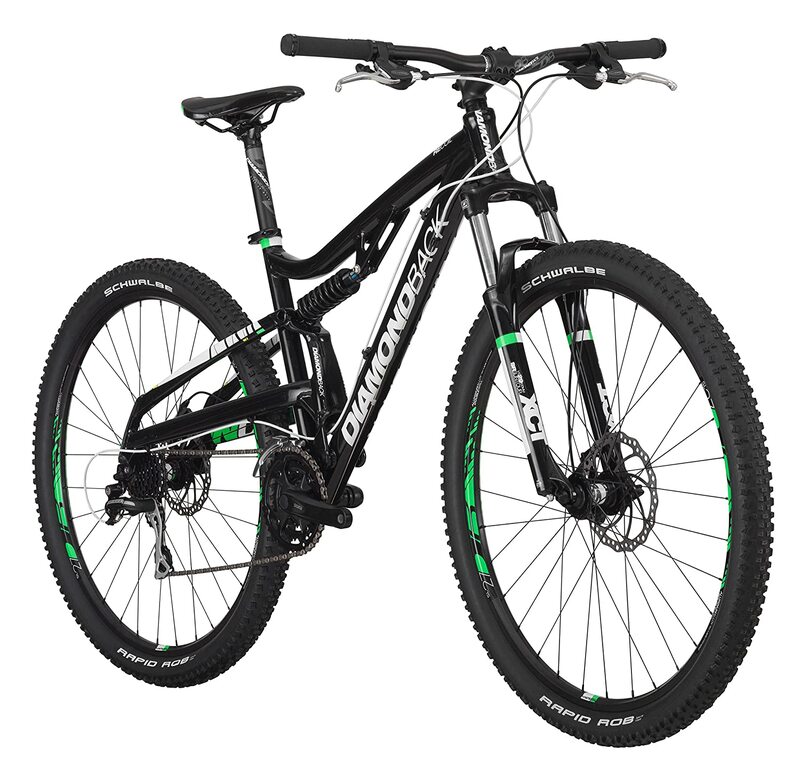 Keep on reading the rest of this post and we will provide you with insights on the things to consider and some brands to look at in your search for full suspension mountain bike with reasonable prices, although they can still be more expensive than hard tails. In this section, we will briefly take a look at some of the most important factors that will greatly impact the decision that you will be making. A full suspension bike can be further categorized into different groups, including those that will be mentioned below. You have to think of which one is best suited for your needs and for your riding preferences. Cross Country: This is popular because of its lightweight construction. More often than not, it will most probably have 100mm of suspension trave﻿﻿l. It can be made from different materials, but the best choice would be carbon fiber, which is also the lightest. They can prove to be reliable, whether they are used uphill or downhill. 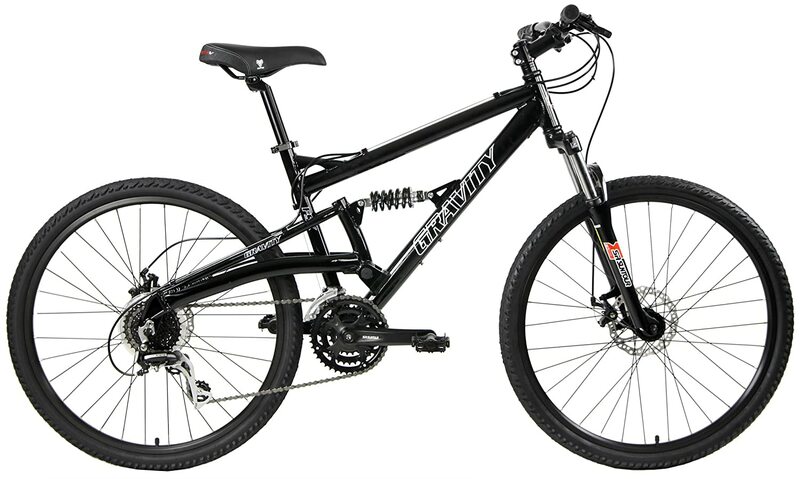 Trail: This type of full suspension mountain bike comes with a travel that is slightly larger than a cross country, usually anywhere from 120 to 140mm. This will slightly perform better compared to cross country when it is used in rough terrains, providing you with the assurance that you will still feel comfortable in spite of the surface conditions. All-mountain or Enduro: If you are going to bike in bumpy and aggressive trails, this is the perfect choice. Compared to trail bikes, it weighs slightly more, which also gives it the better ability to tackle even the roughest terrains. They often have either 29 or 27.5-inch wheels. Downhill: The strength of this full suspension bike is most probably one of its defining features. The suspension travel of this bike can jump to 220 mm, which is the biggest from the four types that are discussed. With this, it will be able to provide your highest level of comfort even in bumpy rides. 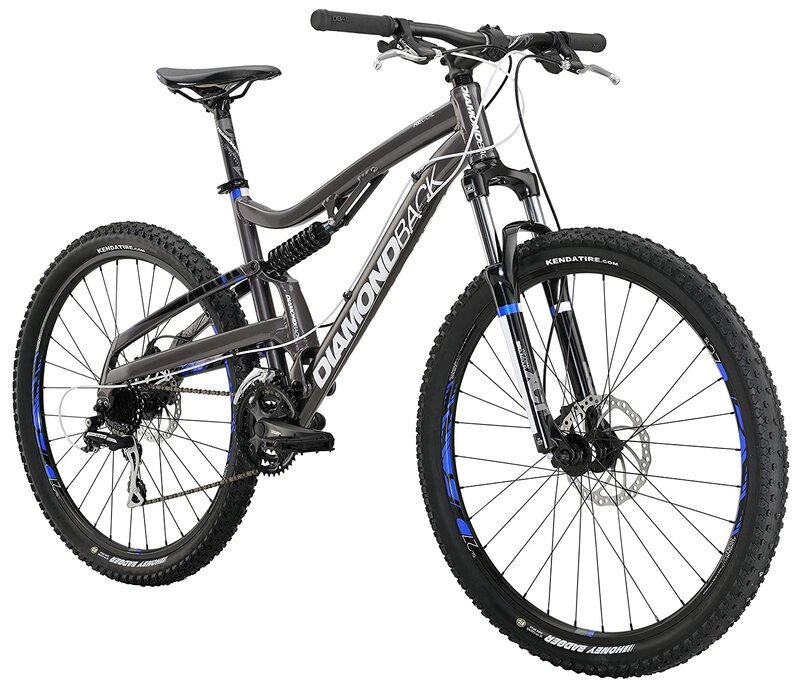 Aside from determining the specific type of the full suspension mountain bike that you will be needing, another important thing that should be taken into account would be the quality of its components. Seat: It is important for such to be adjustable, which means that its height can be adjusted based on your height. Proper cushioning is also necessary for your comfort. Too much cushioning, however, is bad since it is going to negatively affect your riding position. Pedals: The right size of the pedals should be also taken into consideration. It should be appropriate for the size of the feet. You should also make sure that your feet will stay on the pedal as you bike. Wheels: Generally speaking, 29 and 27.5-inch wheels are recommended. There are still older model bikes that have 26-inch wheels, but they are not advised. See to it that the wheel has excellent materials and it must have excellent traction in order to optimize its performance in different surface conditions. Frame: This is another important part of a full suspension bike that should not be ignored. Aluminum and carbon fiber are two of the best materials that can be taken into consideration. They are not only durable, but they are also lightweight, which will positively impact your speed and comfort. Here’s a quick look at some of the most notable models that you can take into account, as well as the features that make them worthy of being considered as top picks for the best full suspension mountain bike. Technologically-advanced – this is one reason why this can indeed prove to be an exceptional choice within the product category. Two of the features that will prove this are CantiBeam Single Pivot technology and Shimano shifting technology, both are responsible for optimizing its performance. The double suspension that is found in this bike is also an incredible feature. This means that it will be able to effectively absorb shock, even if you will be driving in rough terrains. This provides you with the guarantee of your highest level of comfort. The powerful brakes also take it a notch above its cheaper competitors. This means that you will be able to enjoy exceptional stopping power. Even if you will be driving downhill, you can be confident of your safety. It will be effortless to pull the brakes. To add, the handlebar is also designed in a manner that it will be easy to hold. When evaluating the options that you have for a full suspension bike, take a look at the quality of the frame. In the case of this model, it comes with a frame that is built from 6061-T6 aluminum alloy. This will provide you with the confidence of its strength and speed. Another thing that is commendable in this model is the presence of 29-inch wheels. The size are perfect for a full suspension bike. The quality is also impressive. It can offer excellent traction in different terrains. It is complemented by a high-quality suspension fork, which adds up to the comfort that can be delivered by this bike. Lastly, it is also worth noting that this is a Ready Ride Bike. This simply means that it has been hand-built by the manufacturer and it is shipped fully-assembled. When you receive the package, all that you have to do is to pump the tires and you are good to go. One of the best things about this full suspension mountain bike is the fact that it is integrated with Shimano components. From the 8-speed drivetrain to cranks, it is made by one brand that has gained reputation for being one of the best in the industry. The SR Suntour XCT Suspension Fork, which is complemented with 100mm travel, is another thing that gives it a distinct advantage above many others. The latter allows the bike to effectively absorb shock. As it dampens vibration, this only means that you will feel more comfortable. It is equipped with Tektro Aires mechanical disc brake. The design of the latter can make some noise, but when it comes to stopping power, you will not have any complaint. It can immediately put you into a halt when the brakes are pulled, providing you with the guarantee of your safety. Indeed, with the best full suspension mountain bike under 1000, you will be able to enjoy dependable performance, unmatched safety, and comfortable ride, all while still being able to enjoy a great price. They may not necessarily be the cheapest, but given their extensive features, you will surely be able to see the worth of every dollar spent. Nonetheless, we strongly advise that you exert effort to differentiate the possibilities. Do your research and carefully evaluate the options before you make a final decision.